Well the awesome atmosphere at Principality Stadium was everything you would expect. Wales opened up sharp with every intent to play an open attacking and running style of rugby. Not surprising given 10 of their starting XV were from the Scarlets side playing so well in both Europe and the Pro 14. From Gareth Davies intercepting a Scotland pass to score a 60 Metre try in the 4th minute to Steph Evans brilliant one handed acrobatic dive to gives Wales their BP try, they took every opportunity Scotland gave them. MOTM Aaron Shingler, Josh Navidi and Ross Moriarty produced a dominant display in their first match together in the Welsh back row. Rhys Patchell only in because of injuries to both Rhys Priestland and Dan Biggar was outstanding and for me well deserves to keep his place. His vision, handling and cross field kicking all tested the Scots to the full. And it would be remiss not to mention the overall pay of Full Back Leigh Halfpenny. After 5 years and 38 Tests he scored for Wales…...not once but twice! His overall play and kicking were perfect. From a Scottish perspective they were their own undoing. Handling errors, temperament and mindset all conspired to make the well deserved Welsh victory better than it was. Now that’s NOT taking anything away from Wales, merely an observation on how easily Scotland made it at this level. They were a shadow of the team that hammered Australia and came close to turning over the All Blacks in last autumn's internationals. It was like Wales were playing against an U20s sunday side. Scotland had a team of XV individuals. despite having more of the ball throughout the first half, skipper John Barclays face on a number of occasions throughout the game (especially when he was giving away penalties!) and in the post match interview pretty much summed up Scotland’s day. Coach Gregor Townsend has much to do before their next game at home to France! Now, that said there was some good play. I thought Earls when he did get the ball attempted to run at the French, Aki was pretty solid, Stander was his usual boisterous self and I particularly thought John Ryan at Lock showed some glimpses that he’ll be a starter for a while to come. I think he offers a lot more overall than Dev Toner can. I thought the French did well in the scrum and at lineouts. They were disorganised in the main but as the game went on you could just feel that if Ireland didn’t put a couple of decent scores on the board the French would sneak something and Et Voila!! There was NO real stand out player on either side for me if I’m honest. 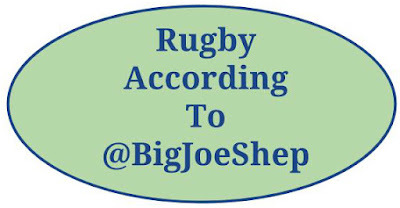 The stand out moment for France was the Teddy Thomas run and try, junking inside past a plethora of Irish players, of whom young Jacob Stockdale will learn a few lessons that even as a Winger he needs to learn about D and work on that quickly if he’s to survive at top level. But there has been enough written, shouted & whoop whooped about the final couple of minutes. 41 phases, 82nd minute and not only one of THE best drop goals of all time by JS10 but the cahoonas as part of that build up with a pin point cross field kick just shows the class and belief of the man. If we go on to win the title then this is where it was won…….. by never ever ever ever quitting. Well as expected England came out flying. Some sublime handling, line speed and deft wrap arounds saw Winger Anthony Watson go in for his first of 2 tries in the 4th minute. All perfectly executed training ground plays. His second was pretty similar and Farrell ran through a lacklustre Italian defence for Englands third. A serious injury to Ben Youngs though meant England lost some of their impetus. Italy never gave up, showed spirit and came back with a well taken try and a penalty to see them only 7 - 17 down at half time. They took the penalty when I believe Parisse felt they weren’t going to get over the try line. This was disappointing and the issue with the Italians was discipline, lack of cohesiveness (7 new players in the side perhaps showing that) and the biggest aspect was they failed to have a fellow player tight on a runners shoulder when they did push forward. Whilst England routed the Italians with 7 tries and a 46 - 15 win, they never got out of 4th gear and the Italians pushed hard on occasions but again it was in the main disjointed. Good standout performances from MOTM Watson and Sam Simmonds who has some speed for a No 8 but there’s potential for other teams to take the game to England. They’re good but they are capable of being beaten. There are frailties there!